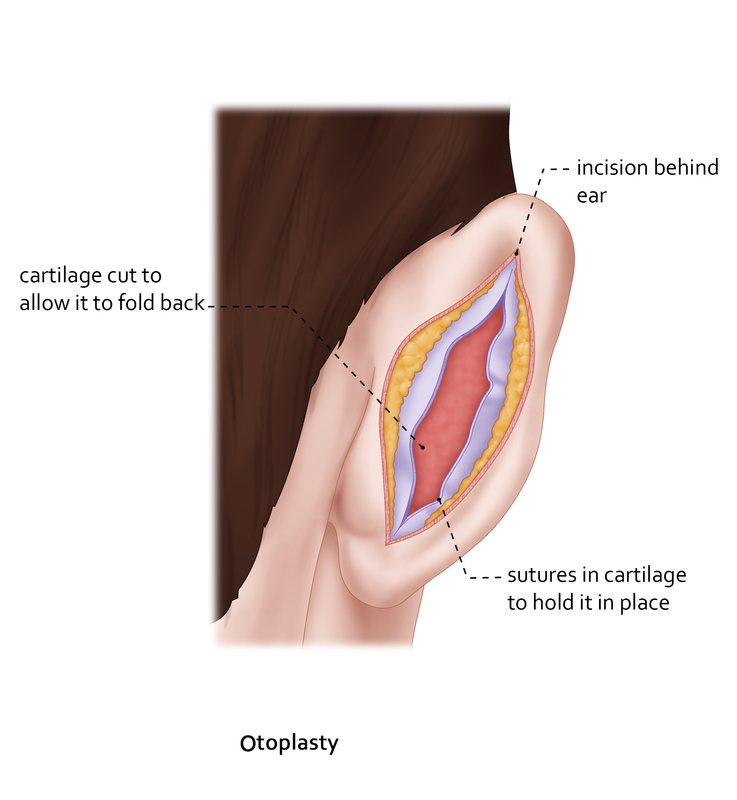 Otoplasty is the name for surgery to enhance the appearance of the ear/s. 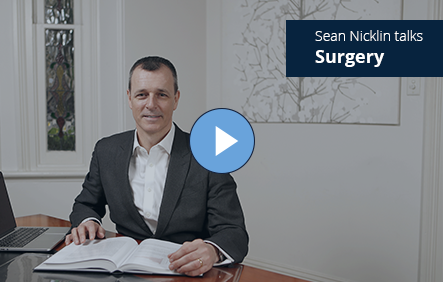 The aim of surgery is to change the angle and shape of protruding or uneven ears and to correct prominent ears by setting them back closer to the head. Surgery involves creating a more pronounced fold in the central portion of the ear which allows it to bend naturally towards the side of the head. This is achieved by making an incision on the back of the ear and correcting the prominence (sticking out) of the ear with stitches securing the back of the ear to tissues on the skull just behind. This technique hides scarring behind the ear and prevents any scarring on the front of the ear. Occasionally a small piece of cartilage is required to be removed to allow the ear to move back. The shape of the ear is changed, using abrasion of the cartilage, which softens it. This allows the cartilage to be re-positioned and held in place with stitches. No major complications are expected with Otoplasty but bleeding and bruising can occur. Also, occasionally the ear may protrude out again requiring a second procedure. It is also important to know that it is unrealistic to expect symmetry between the two sides and some level of asymmetry post-surgery is likely. Additional general risks inherent in undergoing surgery and anaesthesia are explained at the time of consultation. At what age is Otoplasty surgery best carried out in children? From a surgical point of view the ideal age for otoplasty in children is at the age of 7 or 8 years and not before 4 years of age. The operation is often performed at the age of 5 or 6 years i.e. before the child is about to start school, when parents consider he or she may become embarrassed and withdrawn because of their perceived difference from their classmates. How important are emotional factors in relation to Otoplasty? Emotional stability is the primary factor to be considered before any aesthetic surgery is performed – and this is especially important when performing the operation on children. Some children are able to grow up happily with prominent ears with little related self-consciousness from them. Other children benefit greatly from the operation as anxiety is reduced and self-confidence increased. Otoplasty is usually performed as a day procedure in hospital under general anaesthetic. Following surgery, a bulky bandage will be placed over the ears to protect them for one week. After removal of this dressing a head band is worn just at night for a further five weeks. Patients usually return to work/school after one week i.e. when the bandages no longer need to be worn in the daytime. The final shape and contour of the ears becomes evident after about 2-4 weeks. Contact sports and activities that may bend the ears can usually be resumed after 6 weeks. Complete healing may take up to one year. For patients with private health insurance, total fees after rebates for Otoplasty usually fall in the range of $3000-$4000. Following your consultation, a tailored quote for your planned procedure will be provided to you. For more information on fees and rebates please visit the fee section on the FAQ page.